Our title’s on the nose today. 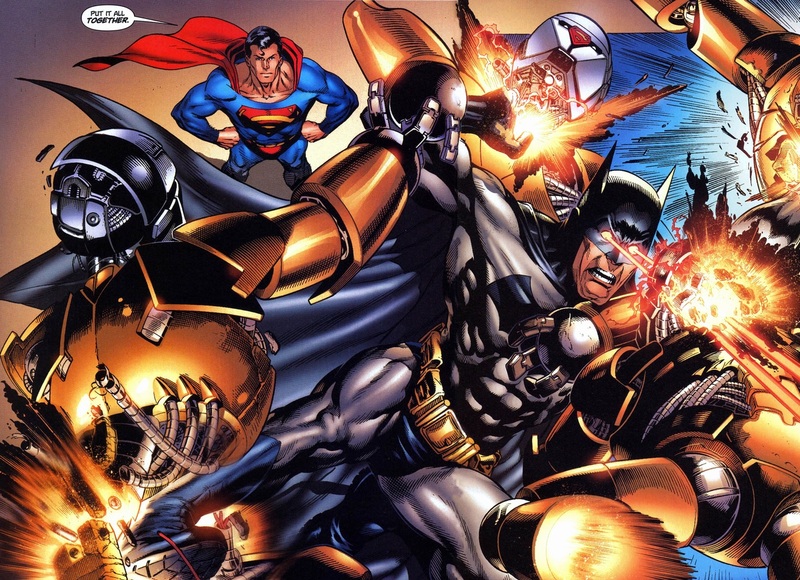 Batman gets all of Superman’s powers and Superman gets all of Batman’s powers (nothing). It’s a brilliant idea. 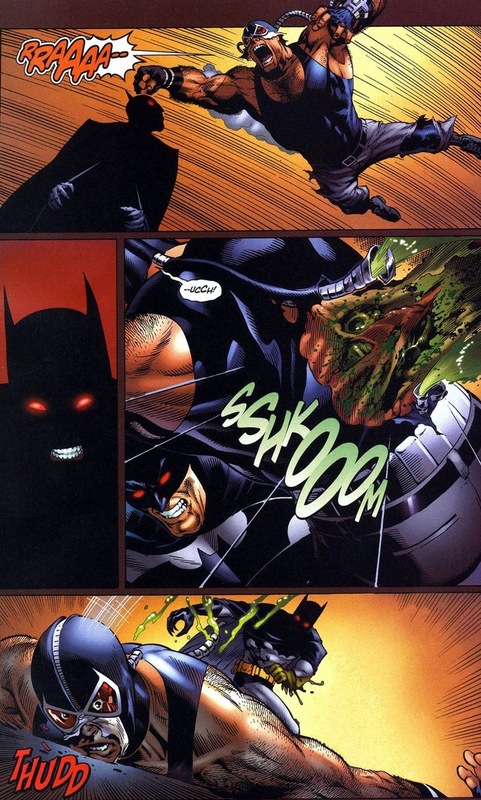 Batman’s personality flaws revolving his obsessions and unending justice get blown open wonderfully when he actually has the powers to act out his unending justice obsessions. 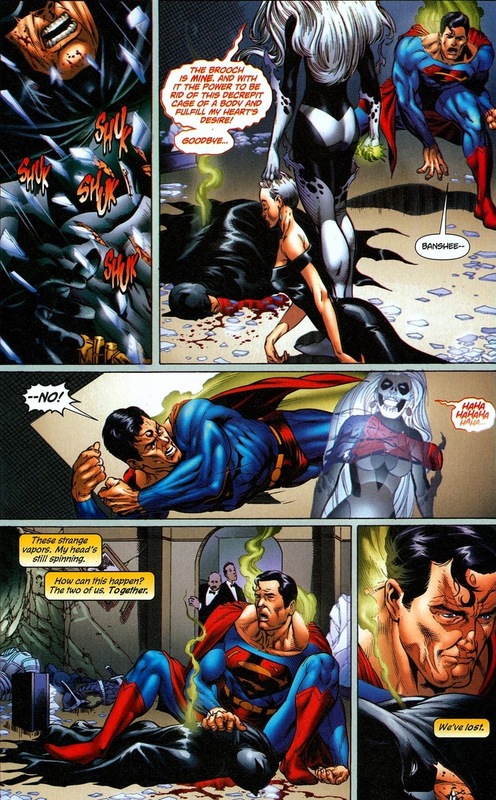 We’ll take a look at this mess in Superman/Batman #53-56, written by Michael Green & Mike Johnson and drawn by Rags Morales. 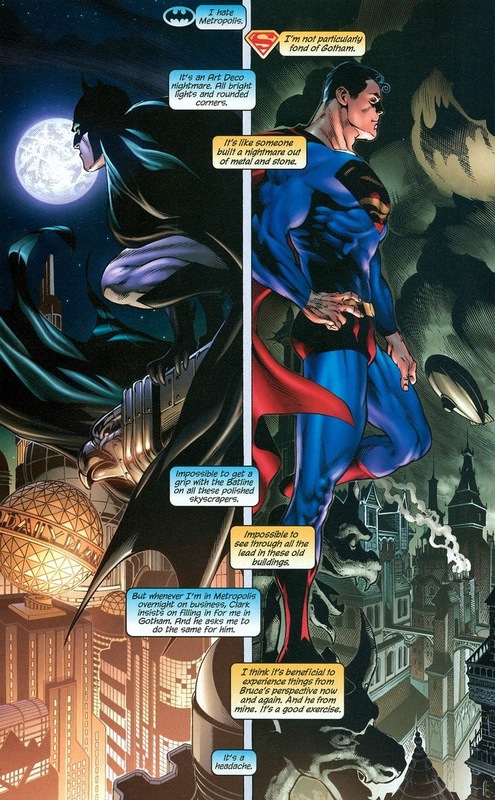 Like all good Superman and Batman arcs, the story begins with their contrasting viewpoints. Spoiler alert: they think differently. 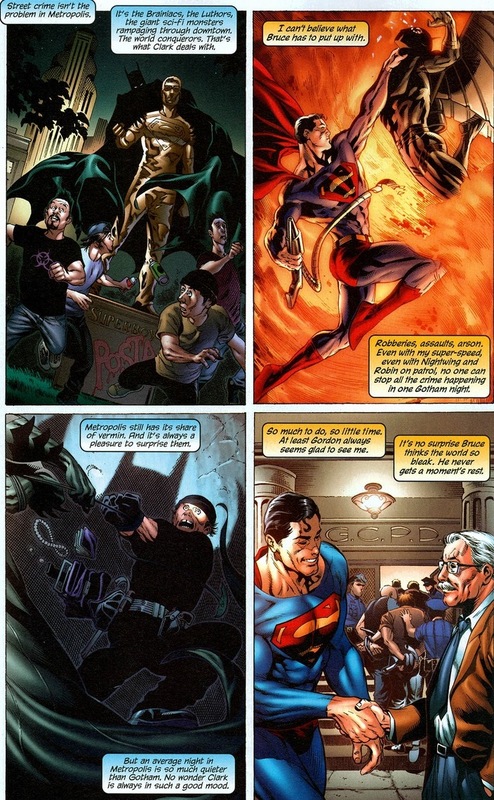 How could you not love panels of Superman in Gotham City? His outfit’s a primary color nightmare against the browns and grays of Gotham, and the wild optimism of Superman’s ideals against the city that attempts to prove him wrong. I love it, almost as much as I love the idea of Firefly getting taken out by Superman in almost certainly the most embarrassing and fastest loss of his supervillain career. Oh yeah, and our two protagonists switch powers. This can’t be bad, right? 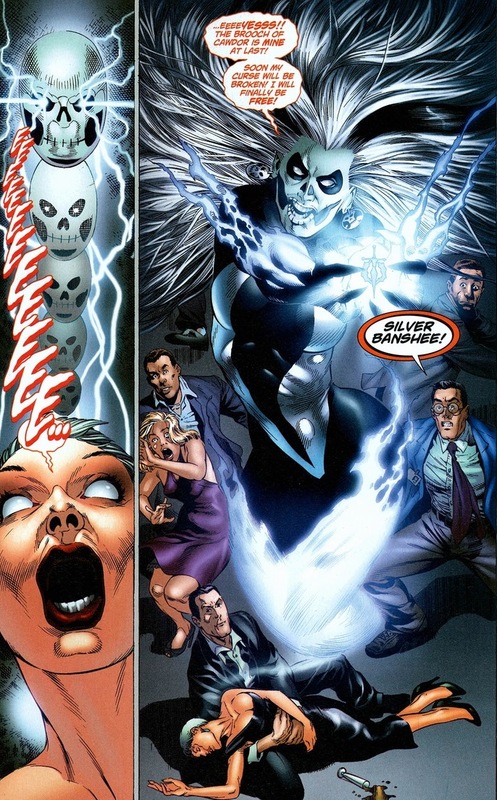 Superman could use a nice rest from singlehandedly being the most powerful superbeing on the planet and let Batman take over for a little bit until Silver Banshee can be found. 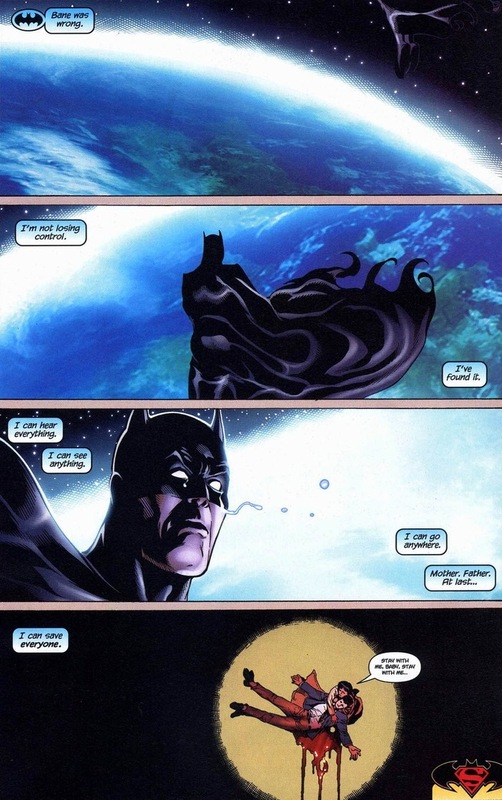 Y’know, except that Batman’s mentally ill and the only factor that prevents him from ever stopping beating up bad guys is that whole normal human thing like sleep and food. But not anymore. Not at all. 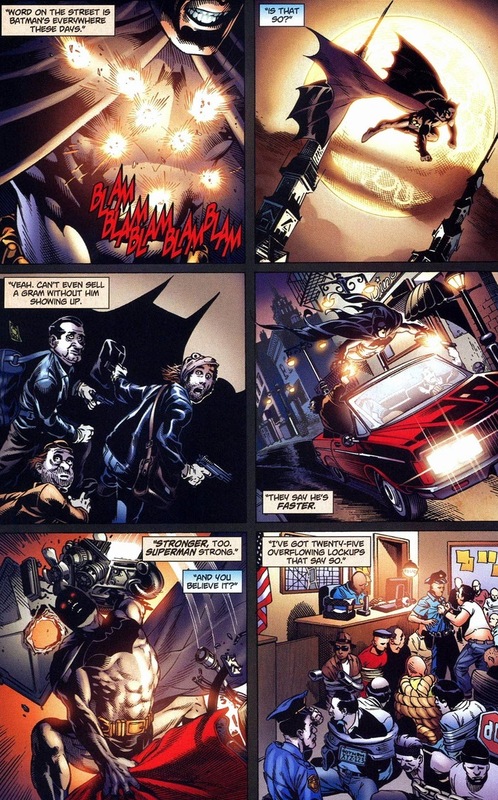 Here’s a glimpse of what Batman can accomplish if he doesn’t have his humanity holding him back. And I mean that physically. 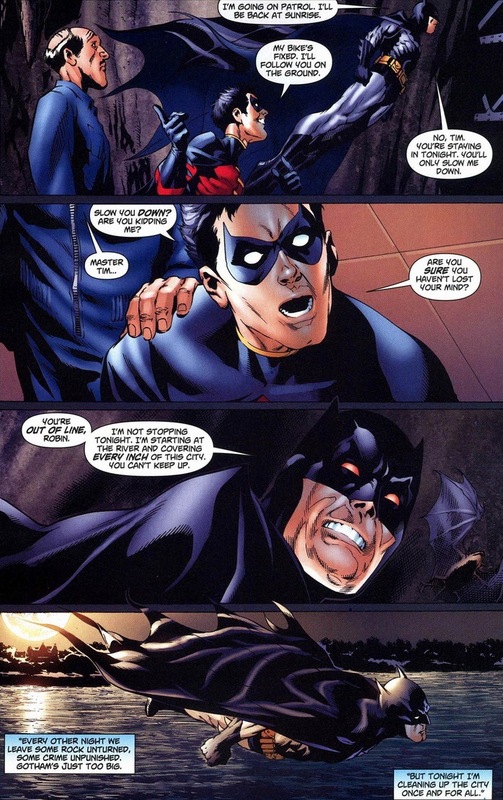 Because let’s be fair, if Batman gets a new batarang that shoots out knockout gas on impact, he’s using that baby on every bad guy that crosses his path that night. But invulnerability? Hypersenses? Heat vision? All I’m saying is it’d be a bad night to be Two Face. Only one person manufactures and sells venom. 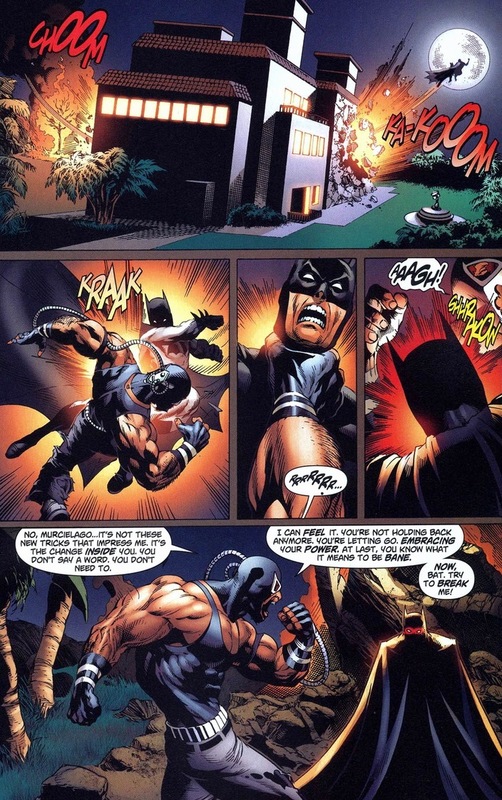 And poor Bane really has no idea what he’s in for. 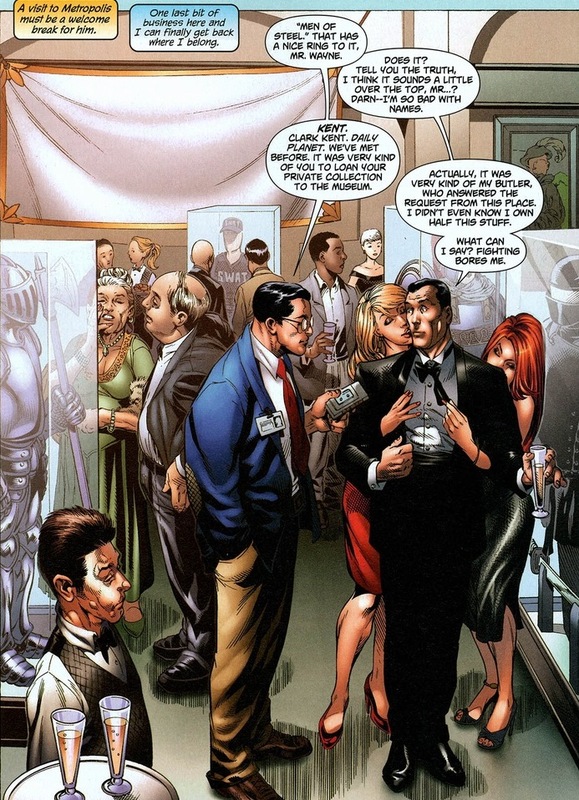 The whole purpose of this issue just seems to get readers acquainted to a Superman-level Batman. 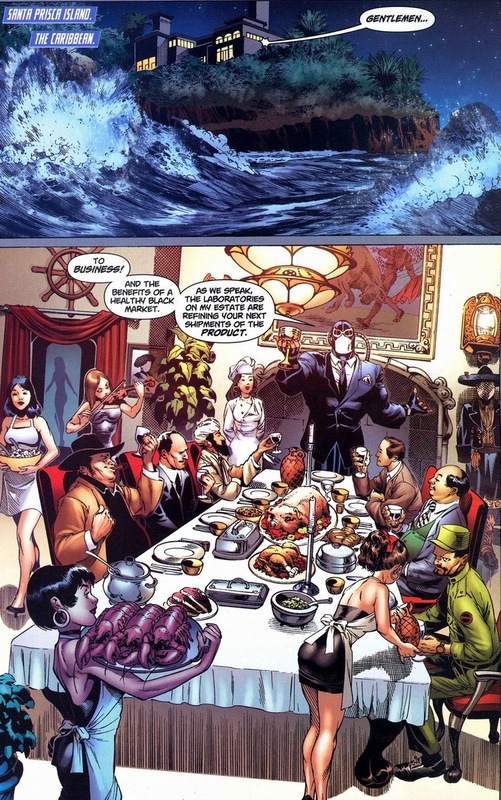 So it’s a dozen pages of Batman wrecking everyone who even ever considered anything evil. And a dozen pages of a mortal Superman trying to adjust, but I’m ignoring all of that. 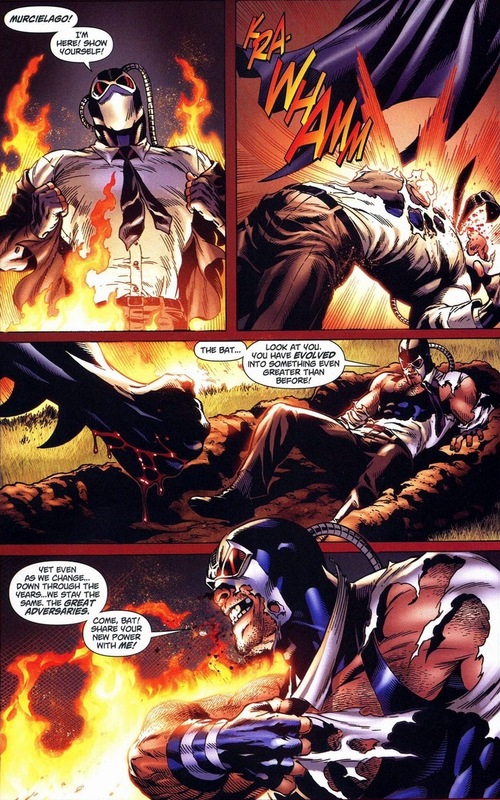 That smile on Bane’s face is about to be wiped away. All the poetic talk won’t save this brute from a Superman-level beatdown, though it certainly adds to the ambiance. Also, I like any man who wears a nice suit and tie but keeps the luchador mask on. Murcielago is Spanish for bat, by the way. 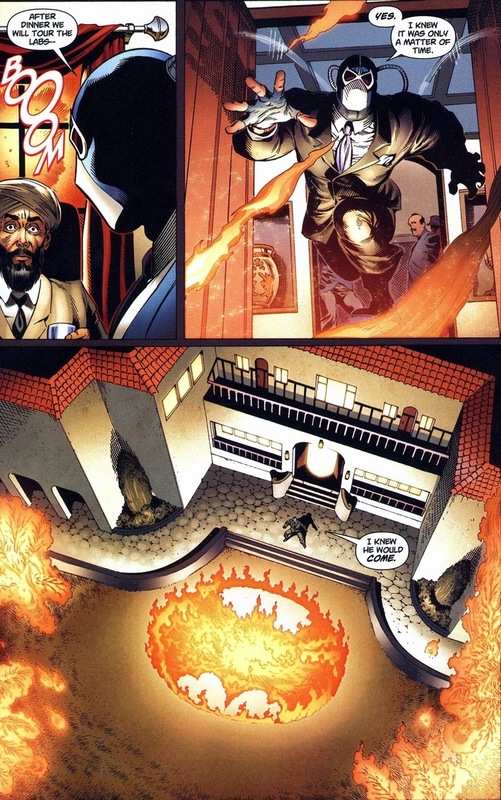 Oh, and Superman got shot. He’s okay. 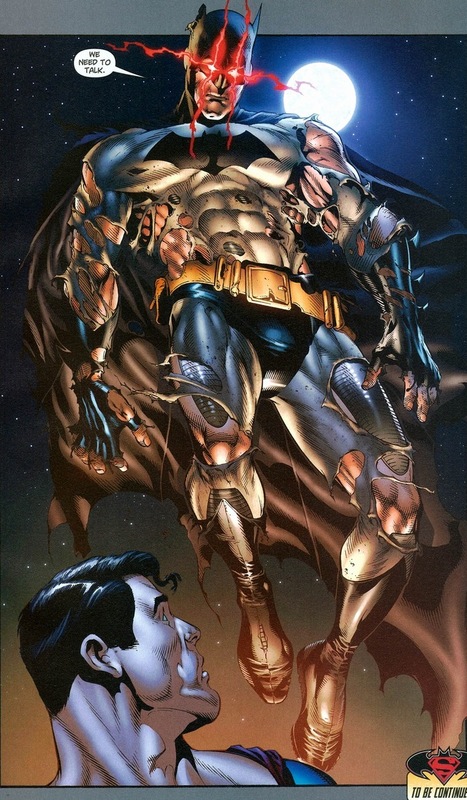 We’ll cover Batman’s continued assault on crime, his mental decline, and the inevitable switch back next time! … Why did I never know this was a thing? He always said he was afraid of having too much power because he was a step away from his enemies in terms of mental stability. 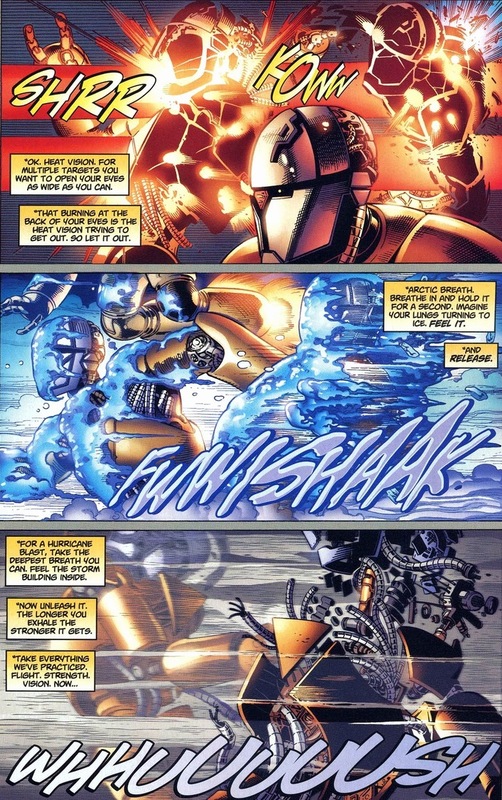 This only proves why he should remain the pinnacle of human ability without superpowers…. and a lot of cash. I don’t see why there would be mental decline. His kinda-insanity mostly stems from not being able to save everyone. Now he can. Does he degrade after learning that Clark was shot and he wasn’t there to save him? 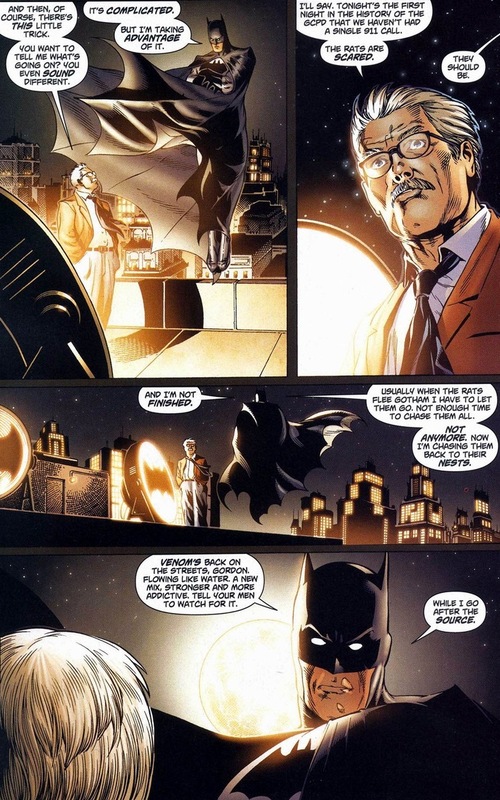 I imagine that would seriously mess up Batman after getting the power to save everyone and then failing to save someone nearly as close to him as Alfred. Just like he failed to save his parents except this time he has the power to have done something.